HOME /Blog /Christmas spirit with UGears U-Fidget Gearsmas! UGears introduces its new holiday collection of stress relief keychain charms, the U-Fidget Gearsmas! 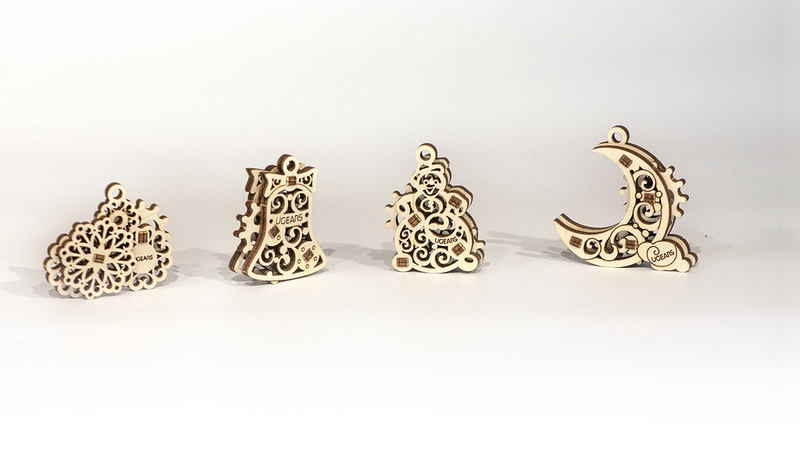 This set of small themed toys is made with natural wood materials and can be used not only as a neat addition to your keychain, but also as ornaments for your Christmas tree! Each of the toys in the set is designed in traditional for all UGears models style. Small enough to fit in a pocket or a purse, they can help alleviate stress and tension and to increase focus. What is special about U-Fidget Gearsmas set? Inside each of the toys in U-Fidget Gearsmas set is a tiny spinning wheel gear that, when rotated with fingers, creates a “fidget”-like movement known for its calming effect. It is because of their compact size, these toys are ideal to use to relieve stress and anxiety on the go, while sitting in traffic or waiting in line. UGears U-Fidget Gearsmas, a great Christmas gift idea. UGears U-Fidget Gearsmas set is an excellent Christmas gift idea for a colleague, your mailman, kids’ school bus driver or a friendly neighbor and are ideal to give away at corporate Christmas parties. 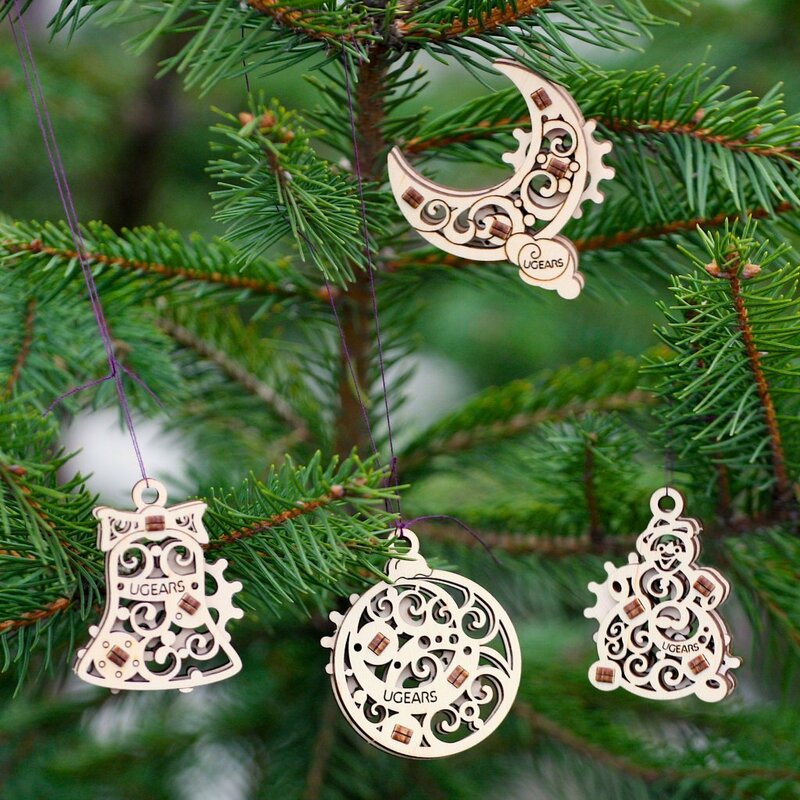 Each of the toys in the set features a small loop for a string and can be used as an ornament for your Christmas Tree. Just like all UGears models, the Gearsmas toys are also puzzles that require assembly. They consist only of a few pieces each and are assembled just like jigsaw puzzles, without the use of glue, which makes them eco-friendly and safe. You can order UGears U-Fidget Gearsmas sets from our online catalog now and cross some of the items off your Christmas shopping list! Gifts to make your chilly fall days warmer!